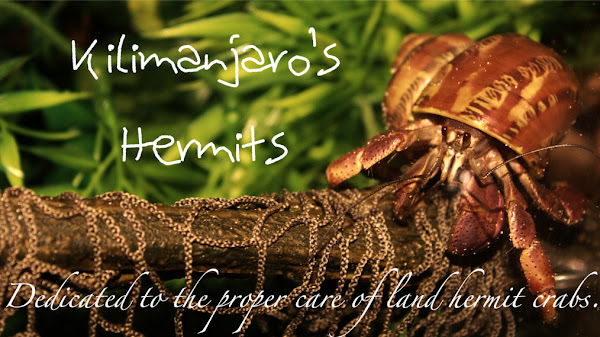 Kilimanjaro's Hermits is a care blog dedicated to land hermit crabs. This blog chronicles the adventures of an avid crabber and includes tips and information about land hermit crab care. I am planning on going to the Pet Supplies Plus where I found Hokkaido on Friday afternoon or Saturday. This hunt is for the other Ruggie I saw and I hope they will still have. I really am very anxious to obtain the other Ruggie...so all you Pittsburgh crabbers...STAY AWAY! :D Just kidding. I am also going to get another purple pincher for Mako since he has no company. That's all for now.